Phonak Audéo B is the comprehensive RIC portfolio for mild to severe hearing losses. 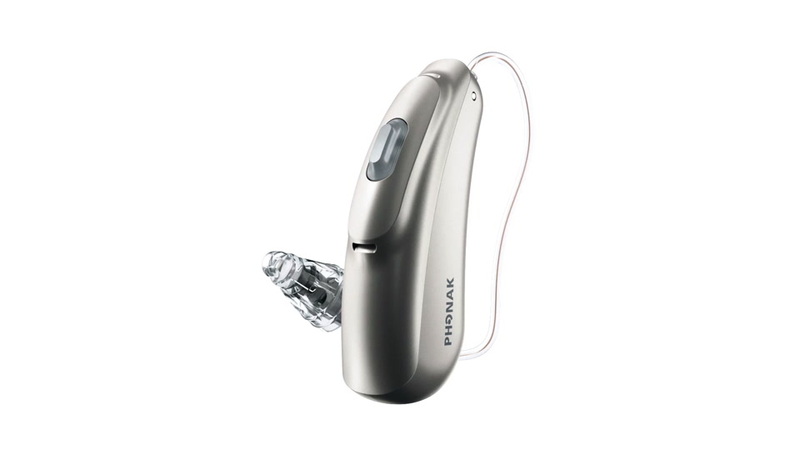 Phonak Audéo B includes five designs, three external receivers and four performance levels, including a noise generator for tinnitus management. Submit your information today and we'll contact you. Audéo B-R comes with a built-in lithium-ion battery capable of providing 24 hours* of hearing with one simple charge. The new AutoSense OS™ offers more hearing performance in situations where your clients need it the most. The new AutoSense OS analyzes the sounds every 0.4 seconds and draws upon multiple features. It then blends them to create over 200 distinct settings to precisely match sound environments.